It's Monster Curry's 3rd Anniversary! Students, you are in luck! 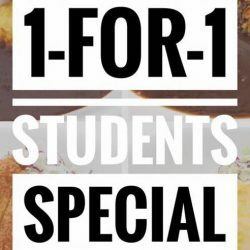 They are having a 1-for-1 Students Special on Pork Shabu-Shabu Omelette/ Chicken Katsu/Cheese Omelette/Homemade Curry from now till 10 November 2016. 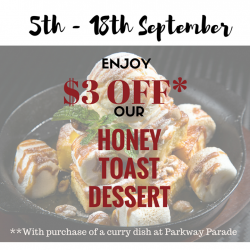 Offer is only valid from Monday to Friday, excluding eves of and on public holidays from 2pm to 5.30pm at all 6 outlets. It's Monster Curry's 3rd Anniversary! 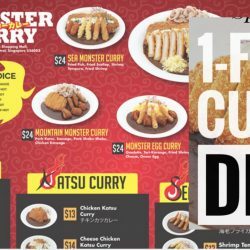 They are running a "1-For-1 Curry Dish" promotion (All Day) from now till 30 September 2016. Follow them on Facebook or Instagram to redeem! This promotion is only available at all 6 standalone stores, excluding 313 somerset.